Wacom tablets are used all around the world for drawing. If you are facing missing Wacom tablet driver problem, you are not the only one. This problem is faced by many of Wacom users. The error is known to occur after installing Windows 10. What is the reason behind this error? And more importantly, how to fix this? Don’t worry, we have all the answers. We will help you fix this problem. Just follow the methods mentioned below, and your tablet will be free of this error pretty soon. The error has been causing trouble in Wacom Intuos Pro tablets using Windows 10. When the user tries to connect the tablet to a display wirelessly, an error pops up “Wacom Tablet Driver Not Found”. Here’s how to fix this error. Simply try these methods one by one and the problem will be solved. Before beginning to fix the drivers, try this method. This is the quickest fix. Sometimes the port doesn’t support the device or it could be malfunctioning. So, you can fix this plugging the Wacom Tablet in port. Also, the reason behind the issue could be the cable. You can try with another cable to see if it fixes the issue. If the problem is still not fixed, try the next method. In this method, we will uninstall the drivers and then install it back again. Before beginning, unplug the device from your Windows 10. Now, follow these steps. Step 1. 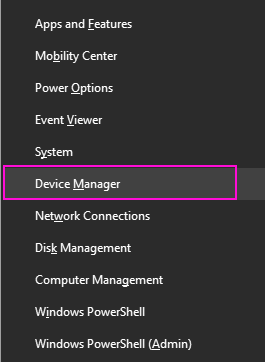 Right-click on the Windows logo and select Device Manager. Step 2. 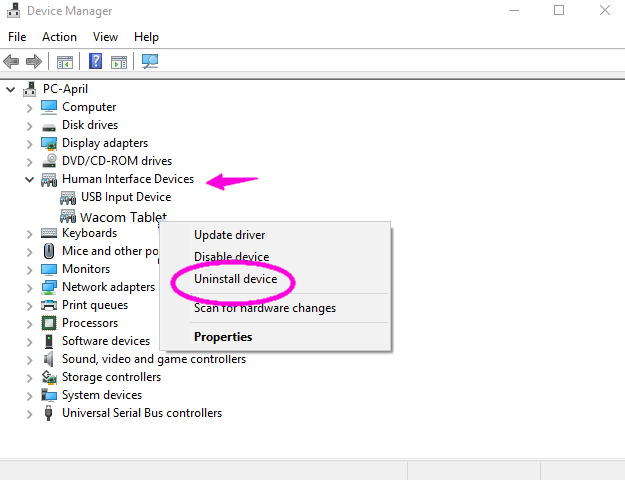 In the device manager, you will find Wacom Tablet under Human Interface Devices. Expand it and right click on Wacom Tablet. Select Uninstall device. Step 3. Now, to reinstall the driver, you will have to go to Wacom Tablet’s website. Go to the website, look for your device model and install its driver from there. After installing the driver, restart your Windows 10. Don’t forget to plug your Wacom Tablet. See if the issue still persists. If it does, follow the next method. The error could be occurring due to some problem with the Wacom Tablet Service. To fix this, we will try and restart Wacom Tablet service. Follow the steps mentioned below to fix this problem. Step 1. Right click on the Start button and select Run. Step 2. In the Run dialog box, type services.msc and click on OK. Step 3. 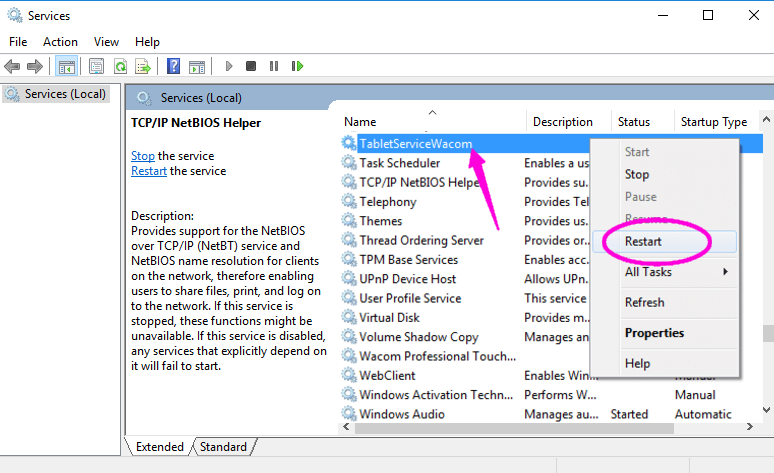 Now, in the Services window, look for one of these services. You will find any one of the services mentioned below. Find any one of these and right click on it. Select Restart. If the restart option is not selectable, then select Start. The error will be fixed now. If you have any questions or if some other method worked for you, don’t forget to mention them in the comments below.